If you're looking for some inspiration when it comes to your living room, you've come to the right place. 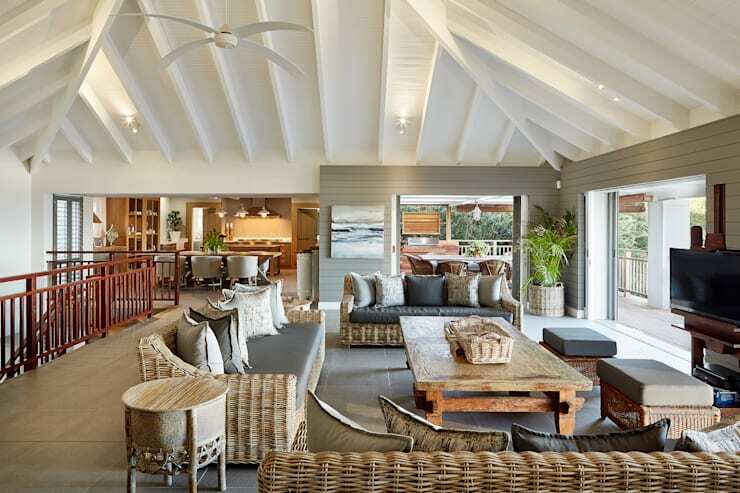 Where better to learn how to achieve a gorgeous yet functional living area than from South African professionals themselves? 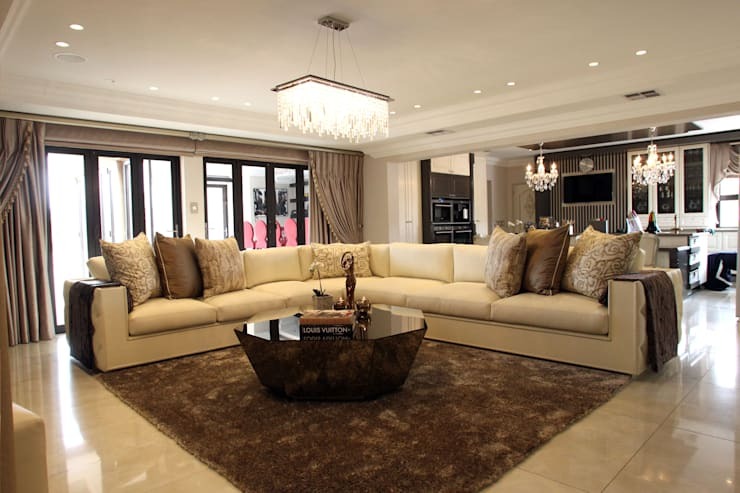 These designs will teach you some wonderful tips and tricks when it comes to achieving the perfect South African living room. 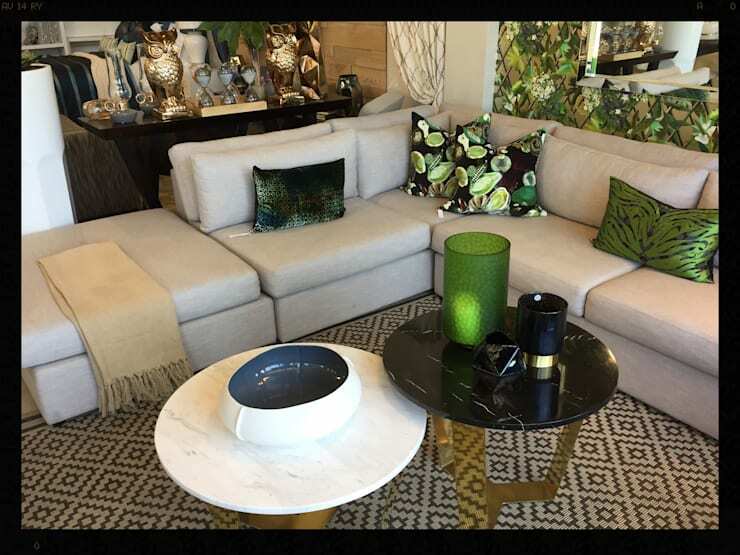 What's more is that each tip ensures that your living area remains functional as well as stylish, making it perfect for a family home, a studio apartment or a home that sees plenty of socialising! 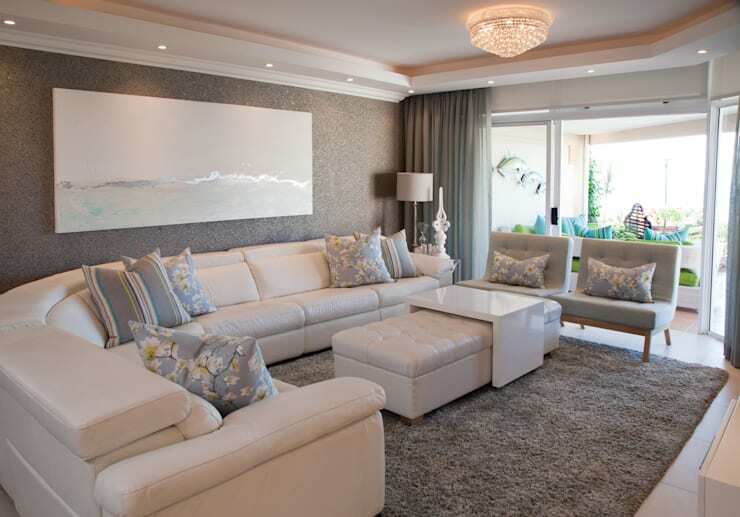 Let's learn from some top South African designers today and see how stunning a local living room should look! This sophisticated living room features elegant leather sofas, a cosy beige rug and a large wooden coffee table—elements that are very classic. 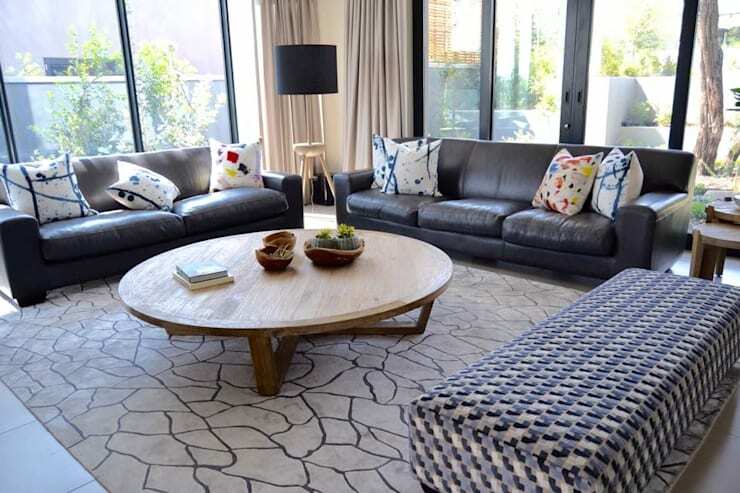 To add a bit of personality and charm to the living room, the designers have added some gorgeous and funky cushions, which look they've been splattered with paint. A dash of colour goes a long way. Sometimes the only thing you need in your living room to achieve ultimate design perfect is a stunning light like this one. This sophisticated chandelier drops down from the ceiling, adding a very beautiful feature to the otherwise simple environment. In the evening, it also creates a wonderful soft glow, creating a very warm, cosy and even romantic environment. Wicker furniture can go a very long way in a living room, bringing a charming country-style look and feel to the home. Pair with wooden furniture and earthy tones and you have a little haven! In this living room we can see how pot plants have been included throughout, connecting the interior to the exterior. 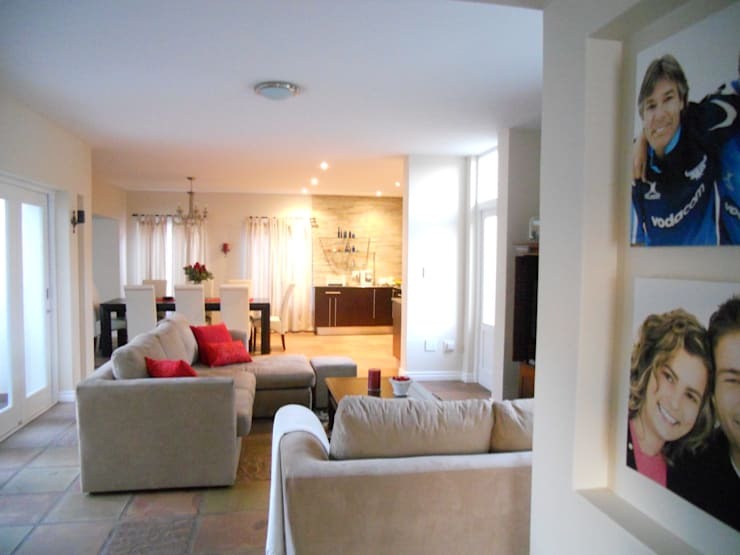 Family photographs are a wonderful way to add a personal touch to a living room environment. In this space, large canvases have been used for family photographs. The kid's faces can be used as artwork! When in doubt opt for traditional furniture with delicate trimmings like we see here. This makes for a very elegant environment. Pair with some floral cushions and glass ornaments and you'll have a very special place. Tip: This kind of living room may not be good for children—save for special tea parties! If your living room is small, add mirrors to the environment. This will give the impression of space, reflecting the room back on itself. 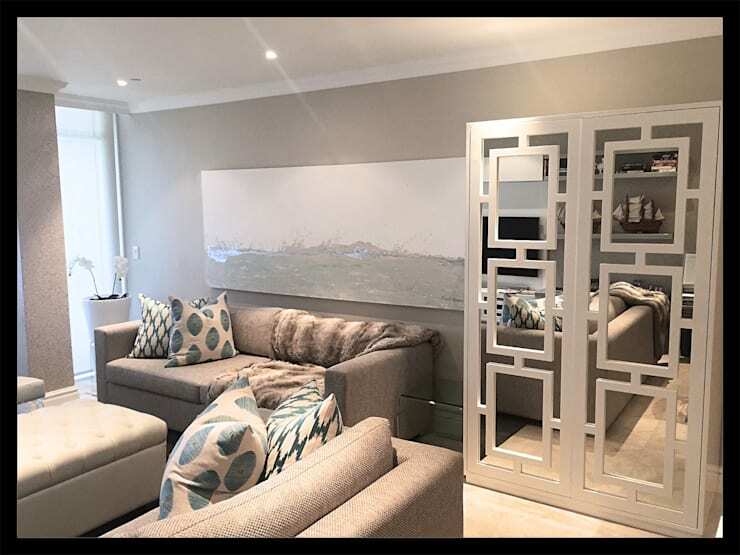 Here we can see how a mirrored cabinet adds a unique touch to the living room. Also have a look at these 6 beautiful ways to decorate small living rooms. If you have a large family or lots of friends, opt for an L-shaped sofa that everyone can squeeze onto! 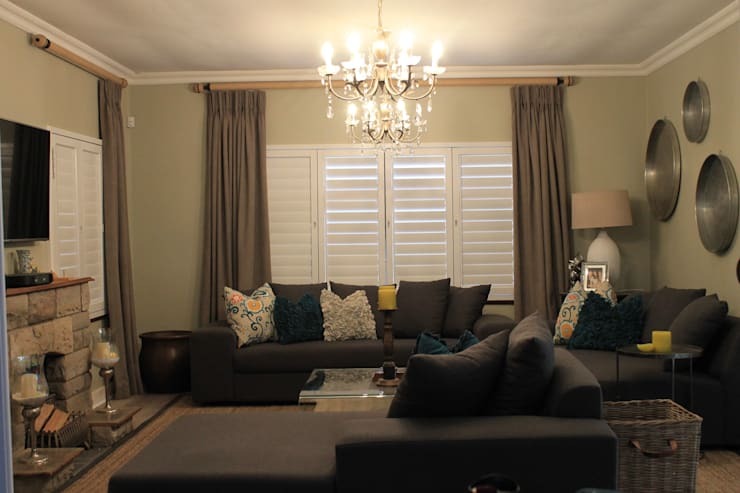 This is perfect for movie nights or catch-ups in a more casual setting. Tip: Add some books or magazines to the coffee table for a little bit of character and charm. The designers have used green cushions and green decor elements to add some colour and charm to the neutral environment. Choose one colour and add it subtly throughout the space. Tip: Don't be afraid to add some patterns. 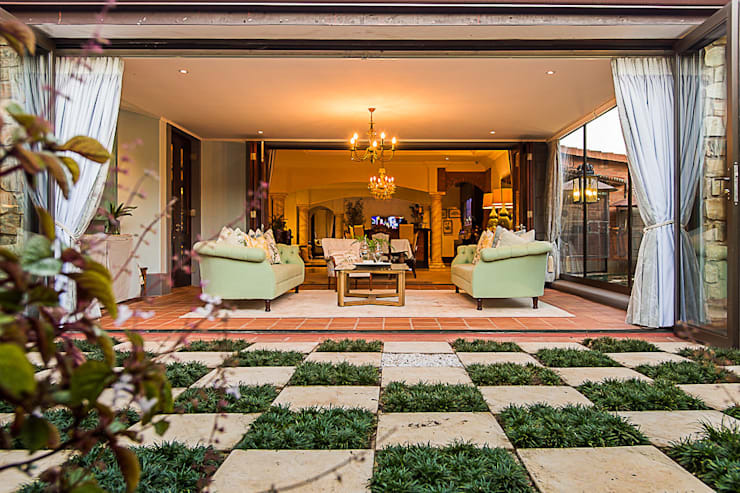 This living room features large glass windows and doors that open up, allowing the living room to work in harmony with the beautiful garden that surrounds. This gives the family the best of both worlds. They can relax close to nature, but still remain in the comforts of the home. Also have a look at 6 mistakes to avoid for the perfect living room.